Joaquin “El Chapo” Guzman is most likely still in Mexico after his escape from prison last month, the DEA’s new acting administrator said. Chuck Rosenberg told reporters, though, that he has no hard evidence of the escapee’s whereabouts but said Guzman is likely relying on the vast resources of his Sinaloa organization in Mexico. 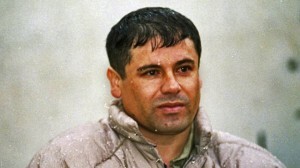 The U.S. is offering a $5 million reward for the capture of Guzman, a powerful cartel leader. Posted: 8/6/15 at 9:23 AM under News Story.